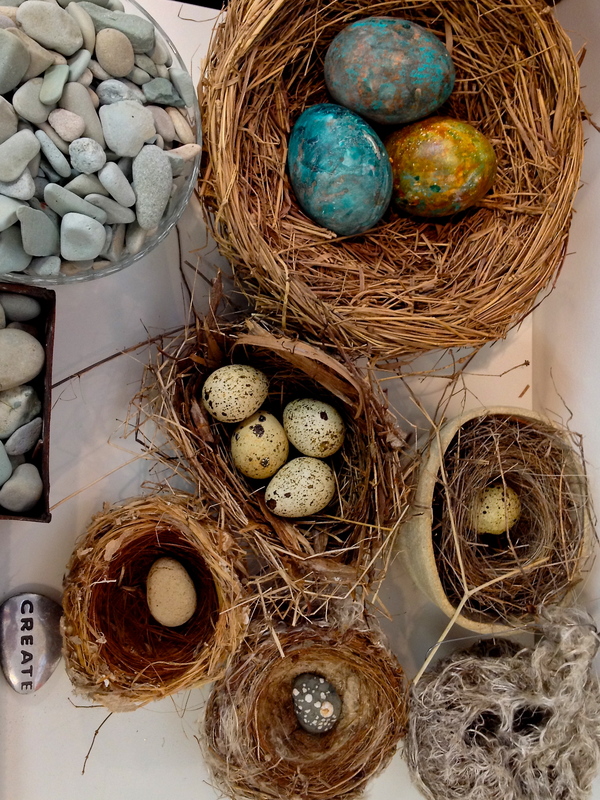 I keep little arrangements around my studio of things I like…… items, textures, shapes, ideas. This arrangement is on one of the “uncluttered by collage papers” surfaces (there are very few of those). I love this photo, and and now formulating a Nest/Home series in my mind.